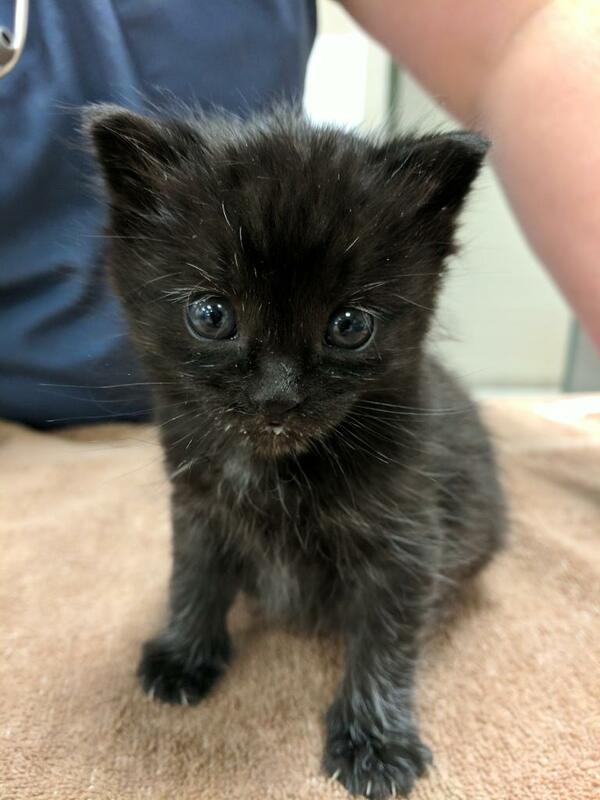 Medicating and feeding abandoned and feral cats costs money. Any amount you donate will go directly towards the medical costs of helping the animals we take in. Sponsor a cat or kitten today and become their Guardian Angel. If you would like to sponsor a Cat Rescue Network foster cat and become a Guardian Angel please contact us for more information. Our Gold Star Guardian Angel is Darrell Thomas Textiles. 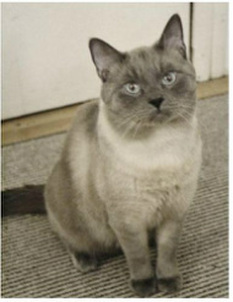 They established the Alex Fund in gratitude for their cat, Alex, a Cat Rescue Network Alumnus. Over the years Alex has raised thousands of dollars. 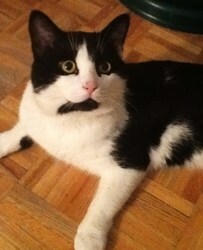 To read about Alex and the many cats that have been saved in his name, please click on Alex's photo. In 2016 Darrell Thomas Textiles raised $5000 through their Alex fund and, over the years, they have raised over $23,000. Many sick and injured cats have benefited from their generosity and are now in good homes. We truly appreciate their support of what we do and thank them, and everyone who contributes to their Alex Fund sales. Their kindness has made a big difference in the lives of many desperate animals. Baris Bilgen is sponsoring this kitten we just took in in memory of Orko. The message was, "I hope this helps other kitties have beautiful lives"
Peep's Guardian Angel is Anita who made a donation in memory of her mother Mimi and her cats Cupid and Coco, whom Mimi loved very much." Madonna has been sponsored through a generous donation from the staff at Mews Chevrolet 1875 St. Joseph Blvd. Orleans Ont. Marshman. We hope it will help you keep up the wonderful work you've done and keep on doing. Mary Tsikouras & family have sponsored Mango in memory of their beloved Cat 'Cow'. His life will be celebrated by giving Mango and her kittens (below) a chance to have a better life. Bella was born with such a large hernia that all of her internal organs were protruding. It was doubtful she could be saved. At 7 weeks old she required a large surgery; and then two more surgeries. Grateful for Elton and Little Zee, we hope that Cookie and his forever family find each other soon. Mona Lisa's Guardian Angel is Stephanie Totten who donated in loving memory of Sadie, a rescued stray who lived another 15 years in a happy home. Eva Devine celebrated her birthday by saving Mariah. Cleopatra "To the one who survives on behalf of one who did not"
Alicia decided to make donations to the Cat Rescue Network instead of providing wedding gifts at her wedding. As a result we were able to take in five little kittens we named 'the wedding kittens'. They were named Bouquet, Confetti, Tierra, Ali and Fergy. Ali and Fergy were adopted together before we could put them on our website but the stories of Confetti, Bouquet and Tierra are in our Happy Tales. "In appreciation of the wonderful experience in adopting Calypso (aka Pesto) and to honor a pledge we made to the people who gave us Oliver"
Zoë Guardian Angel is Sasha and her pets Rusty and Nanook. Grandma Sydney made a donation on their behalf to cover the medicine that Zoë needed. 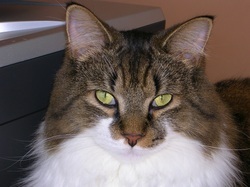 BRITANNY MACDONALD is sponsoring Crosby, Sadie and Suki in loving memory of her beloved cat, Atlas. In celebration of his life, Brittany is help three kittens to achieve a better life. They were all born on Atlas' Birthday. A slideshow of them is on the right. Sponsored in honor of Audrey McEvoy Saliba's passing.This was her wish in lieu of flowers. Christmas gift to Mayhem and Trouble, who were Felix and Walnut when the Lumsdens adopted them through Cat Rescue Network. Their boys have given them a great deal of joy. They wanted to express their gratitude by helping Gabriel, another little bundle of trouble and mayhem whose impulsive Atlas, my sweet special needs baby who recently passed away. Who was also born the same day as Crosby". resulted in the loss of his eye. The following people contributed towards the care of Mohawk: Janice Richard, Mylena Levesque, Katey Champagne, Julie Oliveria, Bob Cohen. Mohawk thanks you for helping to rescue him.